“Donald Trump and Prince Charles are reportedly engaged in a diplomatic row about climate change, which threatens to damage US British relations ahead of the new President`s first state visit to the UK. The royal is a famously vocal environmentalist, who runs Duchy Originals, an organic food company. Conversely, President Trump is a loud climate change denier, who has claimed that global warming is a hoax invented by the Chinese. 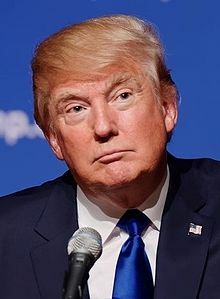 It`s in the job description of the president of the United States that he must tolerate a lot of politically-correct speech when visiting European leaders. 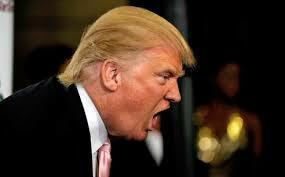 But Donald Trump has a high aversion for political claptrap when it`s not emanating from his big mouth. I applaud Trump for putting Prince Charles on notice that he isn`t going to tolerate his climate change quackery. Trump may be a buffoon, but he`s the leader of the Free World, and his pontifications carry a lot of weight. Prince Charles on the other hand, not to put too fine a point on it, is a useless piece of shi*, and nobody should be forced to listen to his climate change nonsense. Trump is a political hurricane wreaking devastation at home and abroad, but I must admit sometimes he is a breath of fresh air. Prince Charles would be well-advised to hold his tongue when he meets President Trump, the blowhard billionaire doesn`t put up with any jibba jabba. 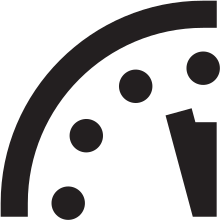 “The keepers of the Doomsday Clock have moved the symbolic countdown to potential global catastrophe 30 seconds closer to midnight based on President Donald Trump`s comments on nuclear weapons and climate change. The Bulletin of the Atomic Scientists, in a statement accompanying the move Thursday, cited wavering public confidence in the democratic institutions required to deal with major world threats. I concur with the keepers of the Doomsday Clock that nuclear proliferation is an existential threat to humanity, but climate change is only a threat to Al Gore`s bank accounts.The more scientists speak truth to power and debunk the climate change hoax, the more money is siphoned from Gore`s substantial holdings. We are eons from Reagan`s Morning in America, the midnight hour is quickly approaching thanks to Donald J. Trump. The president`s rants and ravings, usually conveyed on Twitter, could very well spark a global conflagration. If Trump can be persuaded to cancel his Twitter feed the Doomsday Clock can be moved back to 3 minutes to midnight. The world is going to end not with a bang or a whimper, but with a tweet.